We wanted to spice things up this week in our GUT Finds section. This area is for us to share little things that tickle our fancy – whether they are great online finds or simple “at home” do-it-yourselfer kinda things. My brother-in-law is an UNBELIEVABLE chef. I am so lucky that he decided to marry my sister, because I continually reap the benefits. He went to a bbq this weekend and called me at 8 am Saturday morning to see if I had any whiskey on-hand. I responded with a “ahem, of course darling”. 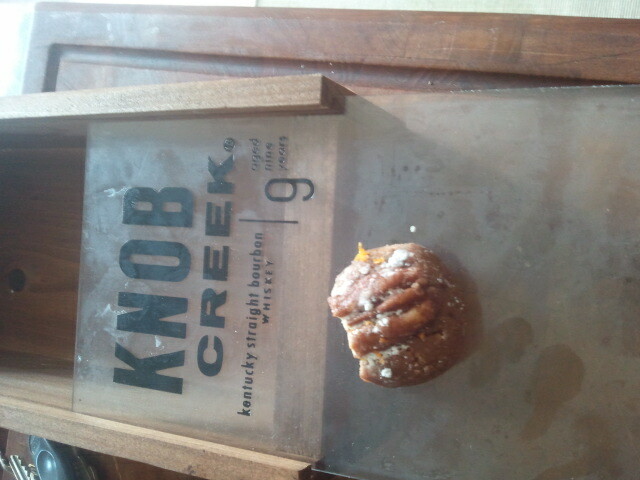 My generosity led to the creation of many amazing little bourbon balls (okay, it was a half a cup of whiskey so I am not really generous, but in my world I was!!!). The Recipe- Lucien added orange zest, nutella and whiskey to make it ultra delicious! 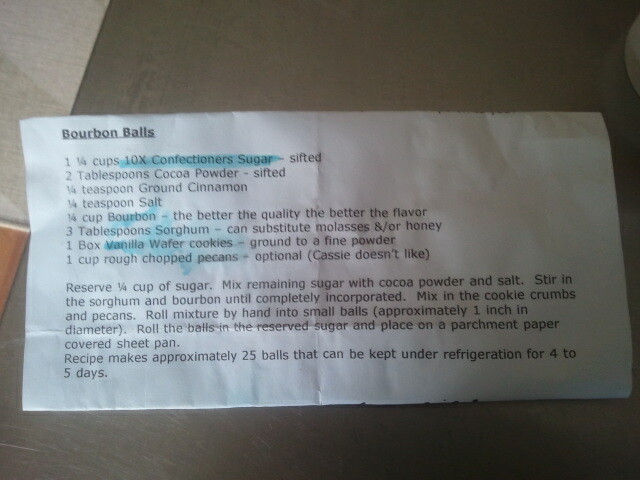 Special thanks to my dear bro-in-law Lucien for saving me the LAST BOURBON BALL! If anyone tries the recipe, please let us know how it goes. We will try it ourselves at some point.